MSc (with distinction) Zoology) – Otago University, 1975. New Zealand Freshwater Sciences Society. Charles has been a leader in research and management of New Zealand freshwater fisheries since 1973.� Original MSc work on the molecular taxonomy and evolution of galaxiid fishes (whitebait) at Otago resulted in the formation of an ongoing research section of the zoology department,including discovery of several new native fish species.� From 1975 until 2002 Charles worked as a scientist with the MAF freshwater section of the Fisheries Research Division.� Practical and applied research developed in this role has become standard practice in New Zealand freshwater management.� Projects included large-scale field trials of Chinese grass carp followed by work on native fish ecology.� Grass carp are now successfully used for weed control,while whitebait spawning ground identification and protection work has also been continued throughout New Zealand.� Charles designed and built the first effective fish passes for native fish and eels in New Zealand and has produced a range of improved designs throughout his career. Charles work onfish reproductive biology resulted in the first spawnings of grass carp in New Zealand, followed by the first life-cycle closings of any marine migratory native fish.� Common whitebait, banded kokopu and giant kokopu were all spawned and reared in captivity.� Otolith (ear bone) ageing, using daily growth rings, was validated for whitebait larvae and juveniles.� Charles other projects included New Zealands first hatchery construction and commercial scale breeding of giant Malaysian Freshwater Prawns, plus swimming performance of native fish (important for intakes and fish passes) and development of protocols for native larval fish identification. 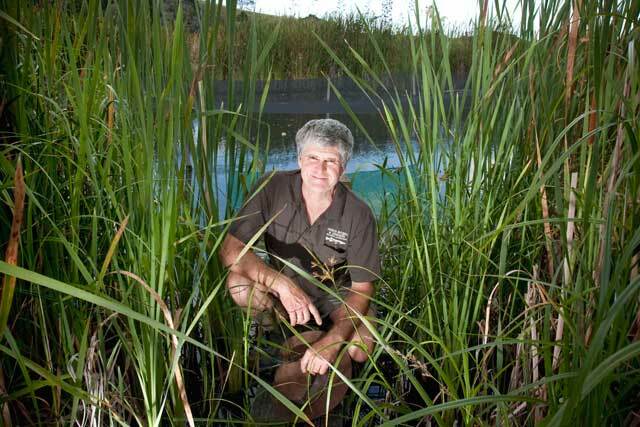 Charles fisheries work has included extensive field surveys, SCUBA diving and drift diving, managing a team of 5 ecologists studying fisheries issues at Huntly Thermal Power Station, discovery and scientific description of a new species of mudfish caught on the Chatham Islands, coastal wetland fisheries restoration and management using aquaculture methods to gain high productivity from manmade systems for eel, mullet and whitebait. Charles has extensive freshwater consulting experience including a series of mahingakai surveys undertaken with Ngai Tahu and various electricity companies, trap and transfer of adult downstream migrating eels past power stations, building a series of increasingly sophisticated fish passes, large scale fish�screens for irrigation intakes, using rock infiltration galleries, long term fish monitoring at Huntly Power Station, Lake Forsyth fish-pass/canal design, consenting and construction. Fisheries consultant based at Rotorua, 2002-2006. Fisheries Scientist, Freshwater Fisheries Research Division, MAF, Rotorua, 1975-2002.